Comic Frontline: Comics Shipping This Week September 26, 2018! Comics Shipping This Week September 26, 2018! This is a list of comic books, graphic novels, and other related merchandise that should be available in comic book shops this week. 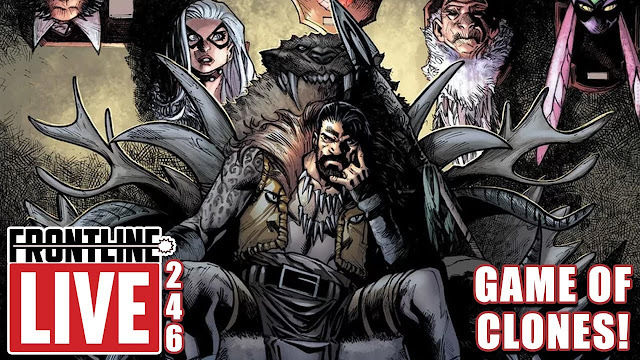 Check out the list below and let us know what you're Most Anticipated Three comics for next week, along your Worst Pick and Top 5 for this week in our weekly comic round-up live show Frontline LIVE every Tuesday Night at 10:00 PM EST! Take a look and let us know what books and other goodies you're picking up this week in the comments! Be sure to follow us on Twitter to stay up-to-date on what is shipping to your local comic shop every week!